If I had to choose one clothing item to wear daily (other than the, ahem, essentials), it would definitely be a hoodie. 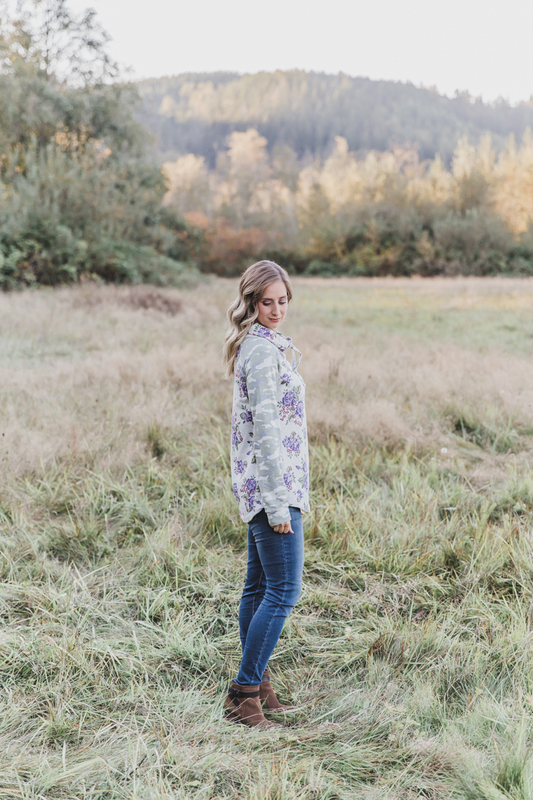 One of my favorite things about the weather starting to get chilly in the Fall is pulling out my favorites to add back into my wardrobe rotation! I had one RTW hoodie (two actually – in different colors because I loved them so much) that I wore non-stop last year, until they pilled passed the level of public acceptance. 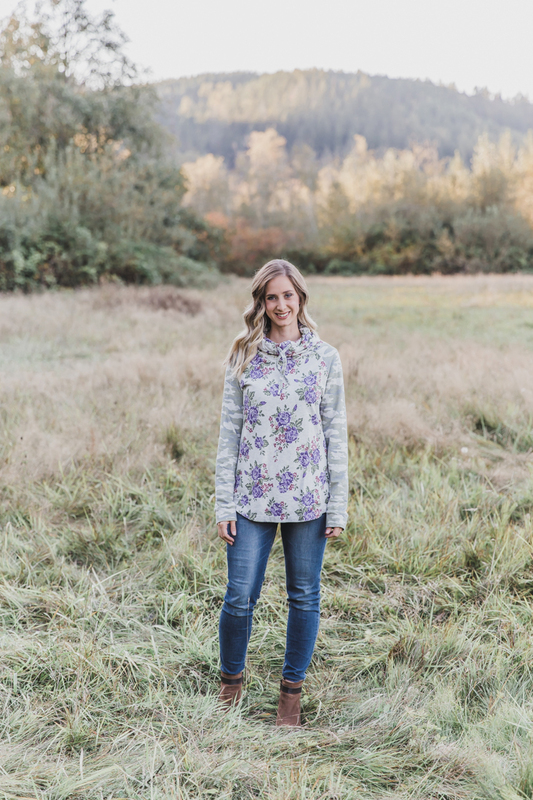 Times like this remind how awesome it is to know how to sew and draft patterns – I used the old hoodie as a base and tweaked it from there to get my new favorite cowl neck hoodie. 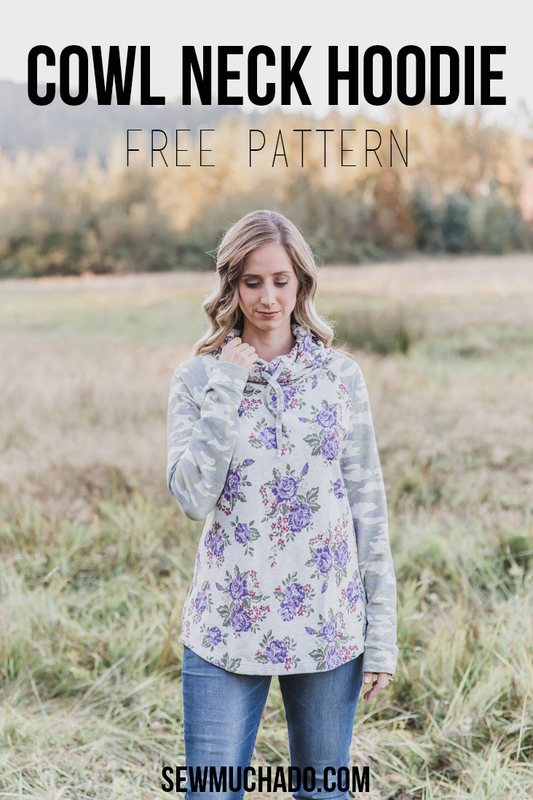 And since I’m guessing some of you love hoodies as much as I do, I’m sharing this Free Women’s Cowl Neck Hoodie Pattern with you all today so you can fill your closet with them too! I normally wear a size M, and like a roomy but not baggy fit for my hoodies. 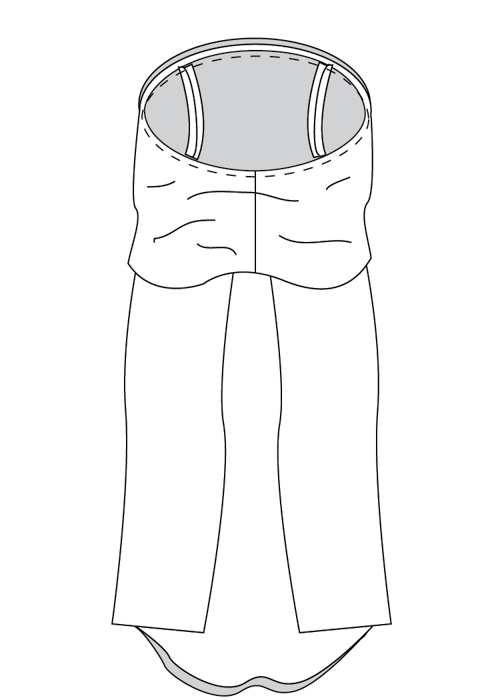 This pattern is sized accordingly, with a finished chest measurement of 38.5″ and finished hip measurement of 44″. 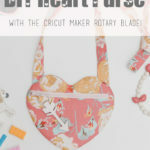 One thing I really wanted to carry over from my old hoodie to this new pattern was the hemline. 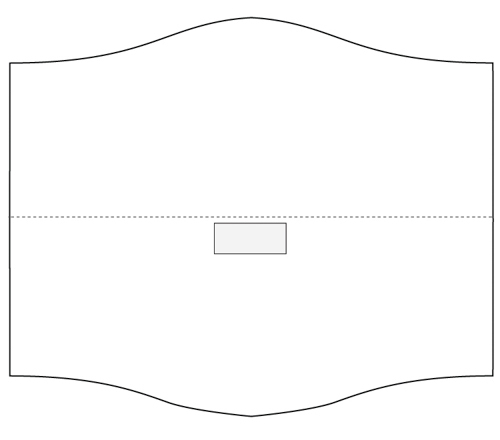 I hate having a tight or even snug hoodie band around my hips (that style also doesn’t work well with my body type), and the shape and fit of this curved hem is perfect if you feel the same way. I love that I never had to tug it down into place. Oh, and the fabric! 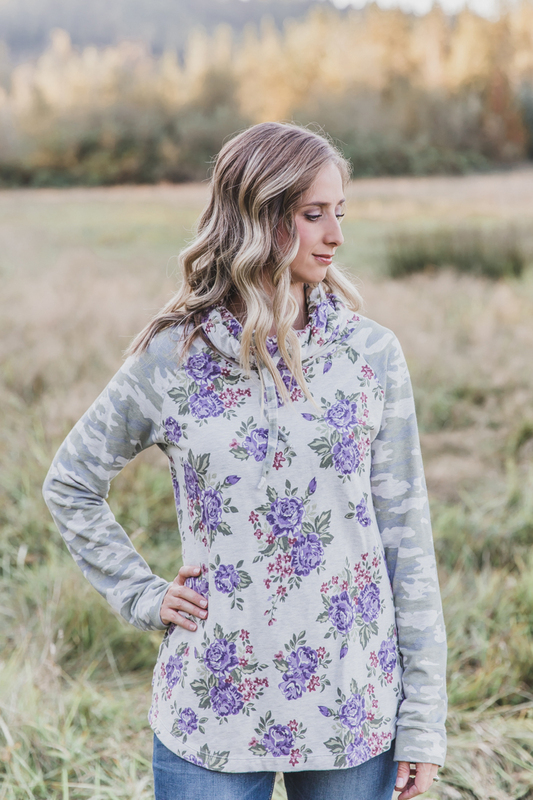 I’ve been hoarding these Raspberry Creek french terry prints for too long with the plans to make a hoodie for myself. 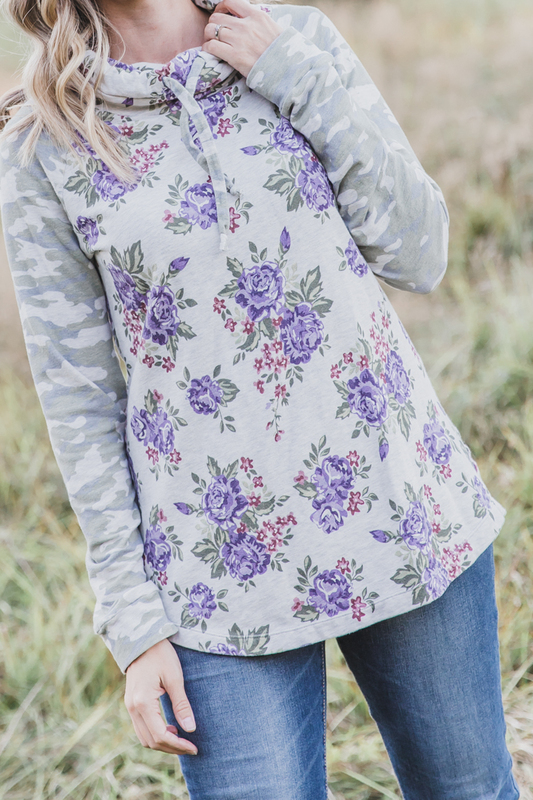 Their CLUB fabrics are dreamy, and the french terry is my very favorite – it’s amazing to sew with and so comfortable to wear. 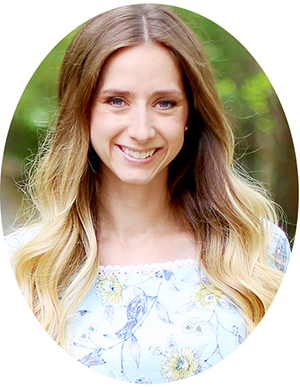 I also have to add that their customer service is the best you’ll find (this isn’t sponsored, btw) – Diana is an online friend of mine and the way she runs her shop and takes care of her customers makes me want to throw my money her way. 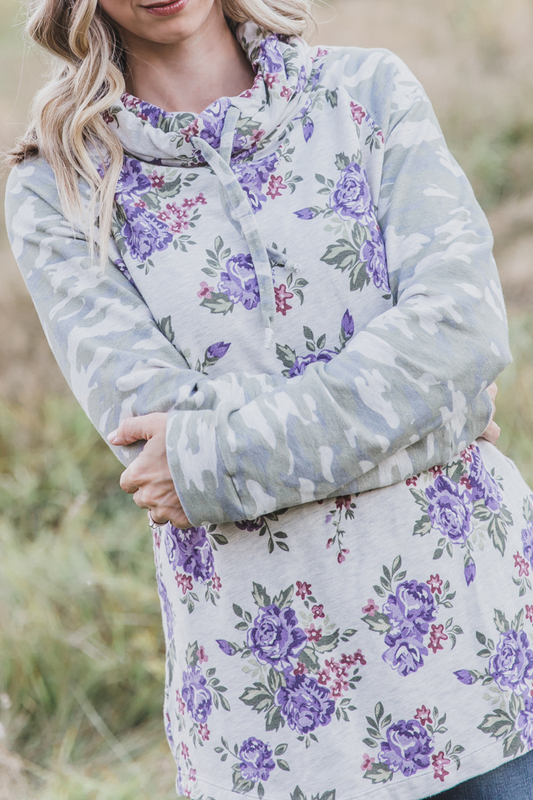 Thanks to the raglan sleeves on this free women’s hoodie pattern, it’s super fast to sew up! I’ve made two now and the second one definitely surprised me. 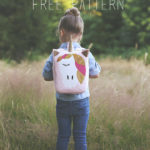 You can make it with either a serger or regular machine, but using a serger will make it lightning fast and gives such a nice end result. I love that a cowl neck keeps you warm without being too bulky like a full hood. – Free Women’s Cowl Neck Hoodie Pattern – click here to be taken to download page. Follow the checkout process (no payment info will be asked for) and be sure to check your junk mail if the link doesn’t make it to your inbox (signing up for our newsletter on the right sidebar is great and we’d love to have you join, but is not how you access the pattern, you must follow the checkout page linked above). 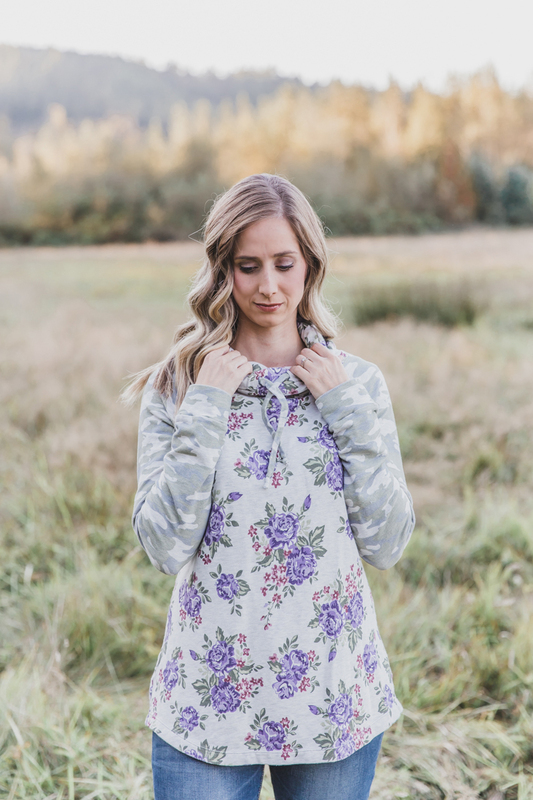 Notes on sewing with knits: Knit garments require the stitch to have the ability to stretch, which means you will need to use a serger OR a long and narrow zig zag stitch on a regular sewing machine. Also, knits tend to shrink a fair amount when washed, so be sure to prewash and dry your fabric before sewing (not optional, trust me!). Lastly, knits sometimes get wavy when stitched – be sure to use a lot of steam when pressing and this will help spring them back into their original shape! 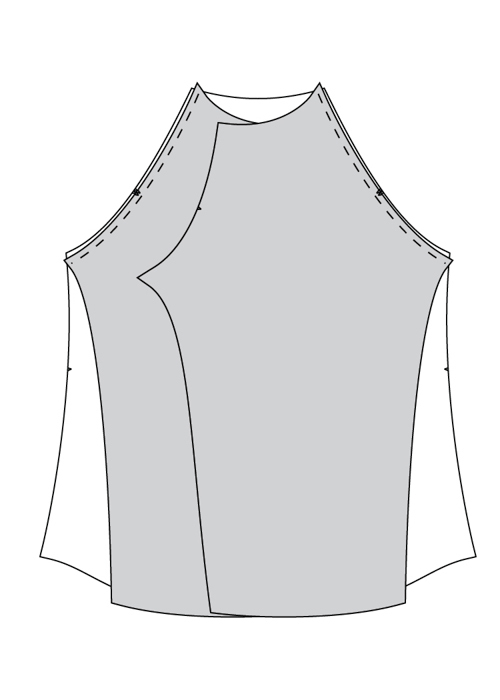 Cut out fabrics and interfacing as directed on pattern pieces, following the layout below layout allows for body and cowl from one fabric and sleeves, cuffs, and tie from a coordinating fabric). Don’t forget to also cut the interfacing piece (not pictured on layout). 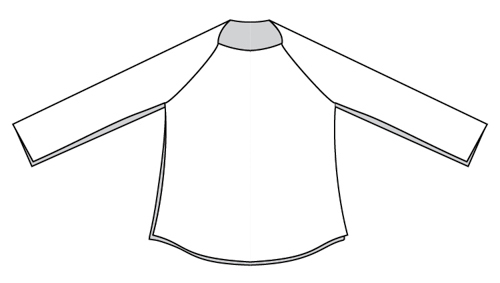 Right sides together (RST), stitch sleeves to back, matching notches. 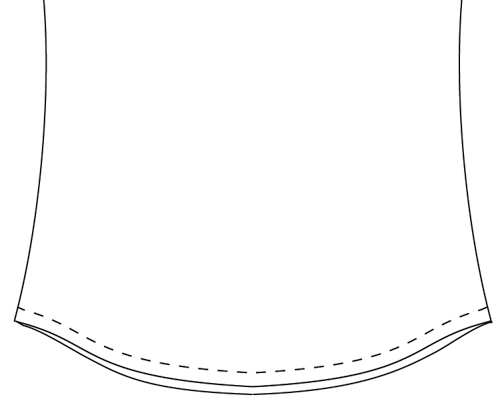 Press seam allowances toward back (press open if not using serger). RST, stitch sleeves to front, matching notches. 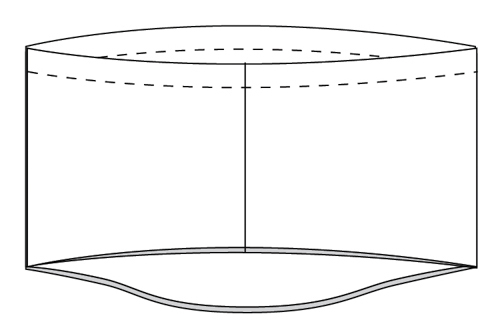 Press seam allowances toward front (press open if not using serger). With front and back RST and each sleeve folded in half lengthwise, stitch continuously from bottom of sleeve to hoodie hem on each side. 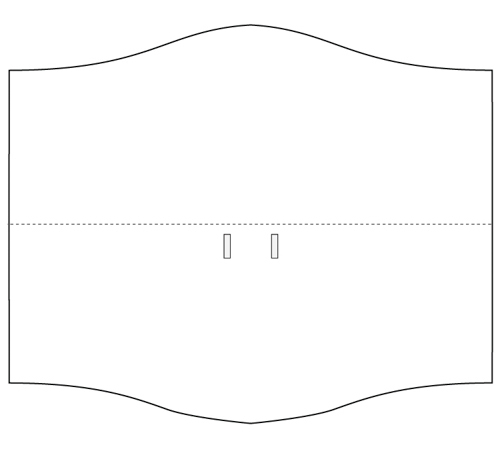 Press seam allowances toward back (press open if not using serger). Fold tie in half lengthwise RST matching raw edges and stitch along raw edges. 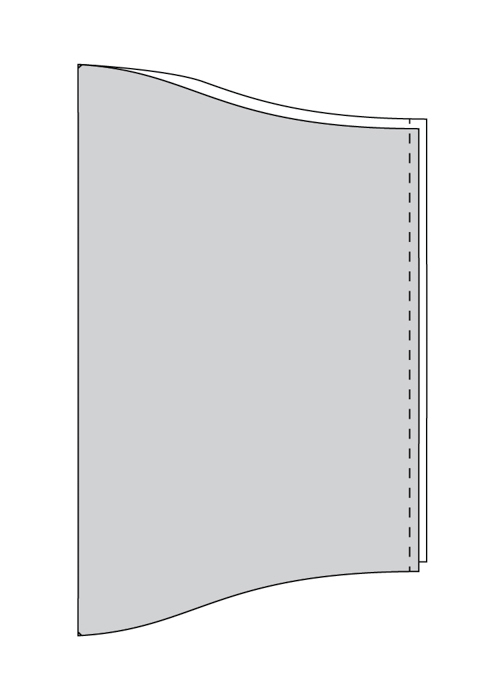 If not using serger, trim seam allowance to 1/4″. Use safety pin to turn tie right side out and press flat along seam. Fuse interfacing to wrong side of cowl piece as marked on pattern piece. On right side of cowl piece, stitch two buttonholes as marked on pattern piece. Use seam ripper to open each buttonhole center. RST, fold cowl in half, matching straight edges. Stitch along edge. Press seam allowance to one side (or open if not using serger). 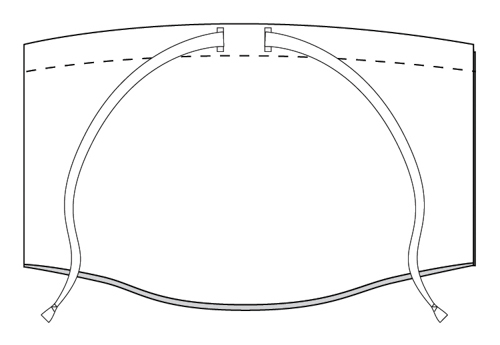 Wrong sides together, fold cowl in half, matching curved edges and notches. Pin edges together. Topstitch approximately 1 3/8″ from top fold of cowl (adjust this depending on the size of your buttonholes – stitches should be equal distance to buttonholes as buttonholes are to top fold of cowl) to form tie casing. Use safety pin to thread tie through one buttonhole and out the other. 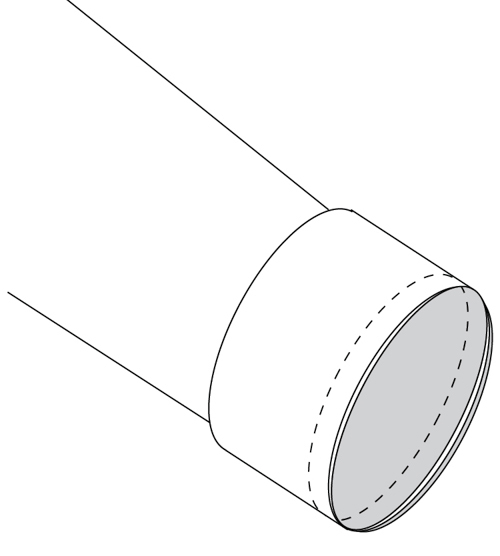 Tie each end in a single or double knot and trim tie end 1/2″ from knot. RST (right side of cowl has buttonholes), pin cowl to neck opening, matching front notches together and cowl seam with center back notch. Stitch along pinned edge, gently stretching cowl to fit neck opening. Press seam allowance toward cowl. 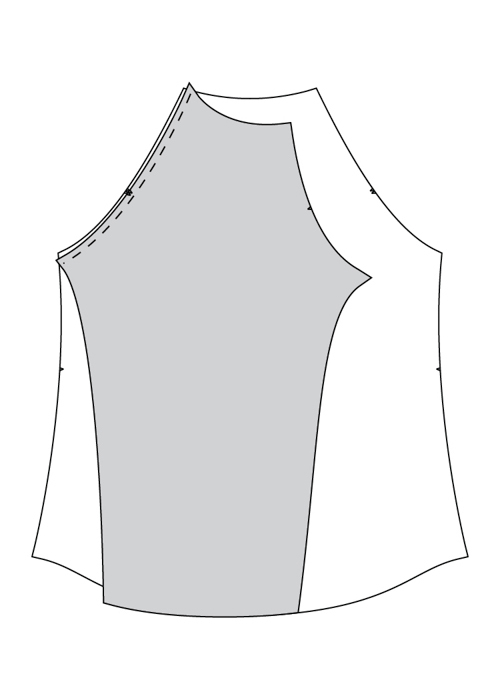 TIP: For extra neckline stability, place clear elastic along seamline, allowing it to be stitched in place with cowl/neckline seam. RST, fold each wrist cuff in half, matching short edges. Stitch along short edges. Press seam allowance to one side (or open if not using serger). 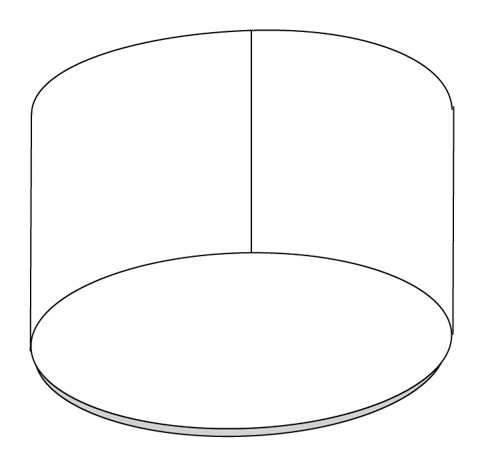 Wrong sides together, fold each wrist cuff in half in opposite direction, matching raw edges. RST, place end of each sleeve into each cuff, pinning and matching raw edges and seams. Stitch around pinned edge on each side. Press seam allowance toward sleeve. 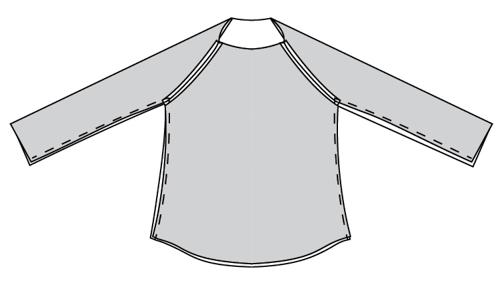 To hem hoodie, press front and back bottom 1″ toward wrong side. Topstitch close to raw edge using zig zag stitch, twin needle, or coverstitch machine (my very favorite way to hem knits!). Great job! Be sure to share your hoodie, we’d love to see it! 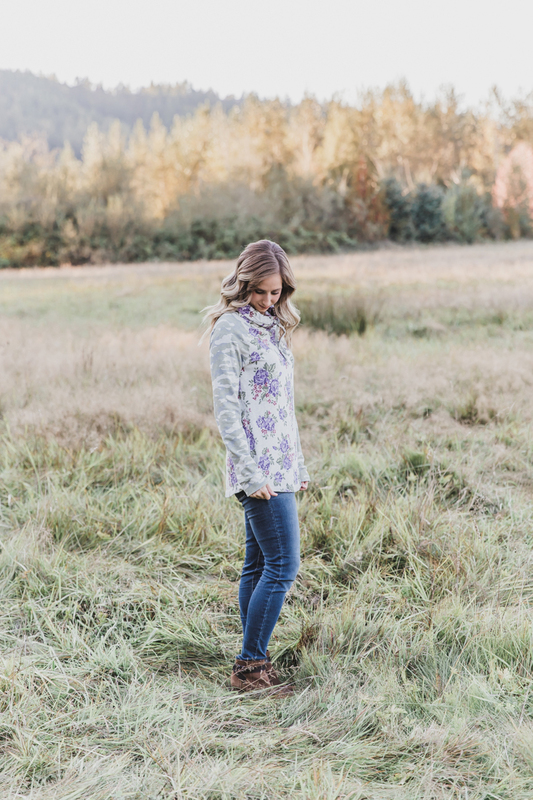 Tag @sewmuchado on Instagram and share your finished hoodie in our Facebook Group! 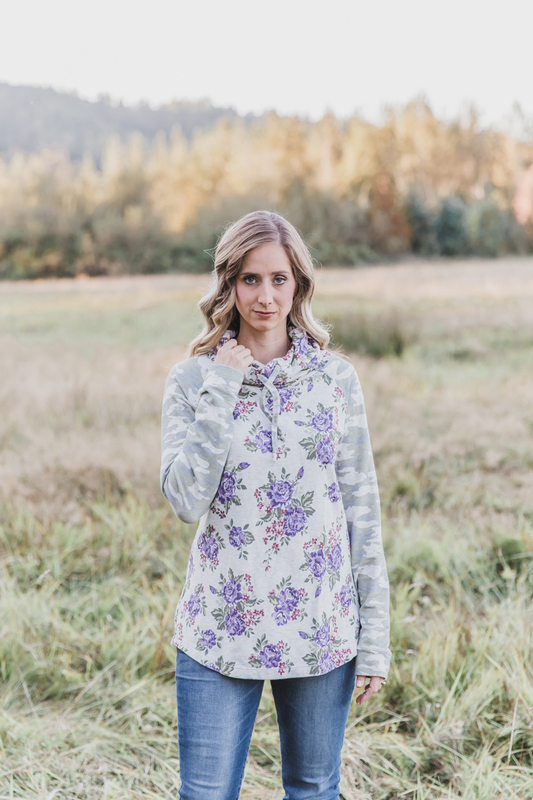 Now that you’ve mastered sewing your own hoodie with our free women’s cowl neck hoodie pattern, be sure to check out our tutorials gallery and pattern shop for more fun sewing projects! 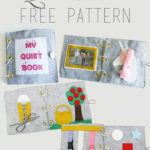 Thank you for offering this free pattern! How do I download it? You are welcome! To download it, just follow the instructions under the “supplies” section of this post. Hi! Every browser will act differently, but the instructions are designed to be read on a computer, tablet, etc only rather than printed, so I haven’t experimented with any printed options. Has anyone tried this with fleece for the body and a knit for the sleeves and cowl? This is so cute! I love how you did a contrasting sleeve. It looks great and I can’t wait to make it! Is there a hood option for this? Hi Connie! I haven’t drafted a hood option, just the cowl neck :). I made this hoodie the other day and it is honestly the hoodie I never knew I needed! I am starting up a blog and am drafting up a post about this hoodie! Thank you so much! I cannot wait to make more! Oh that is so great to hear! I’d love to see your blog post once it’s up! This is a perfect pattern! I made 2 in a weekend….and I am not an expert at sewing. The directions where so clear and plenty of pictures! Yay! I made one from low loft antipill fleece and it is adorable. 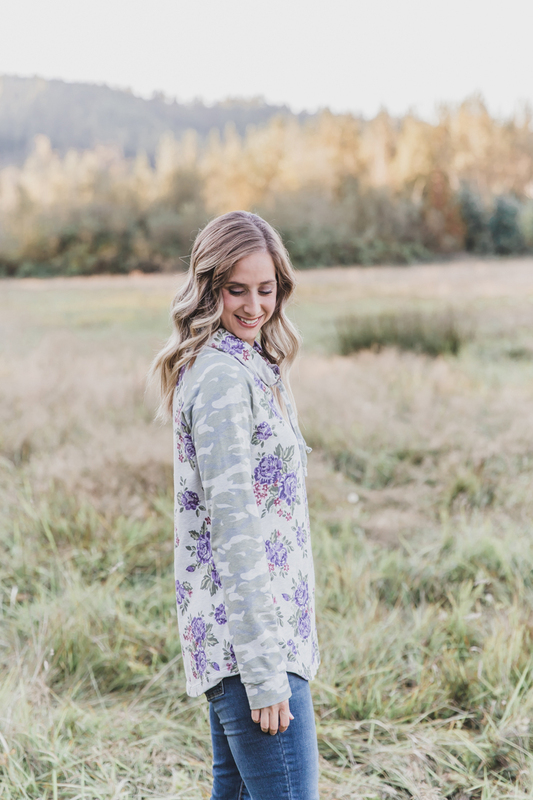 Looked on site for more womens patterns…none :( Sure hope you can find some time between raising those adorable kids to add some! Thanks so much! Does the pattern come is size medium only? It is a lovely pattern. Thank you! And yes, for now it’s only size M :). Love this! I want to try and make one, but I’m not a size medium, and not really a sewist…. I’m a quilter. How would I adjust this to be large enough for an XL? Hi! To adjust it to an XL, you’d need some pattern grading experience – you could try your local library for some books to get you started if you’re interested! Hi Shirley! 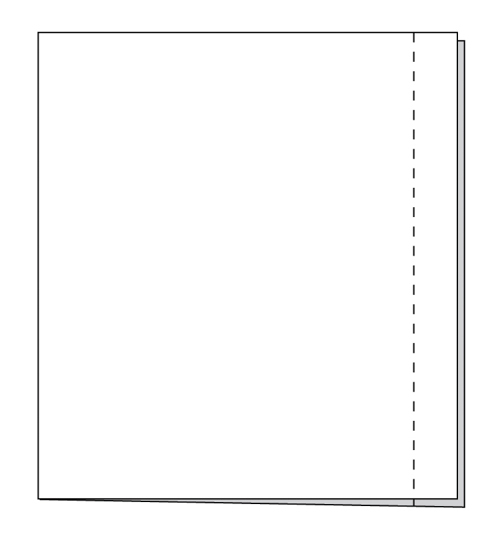 To put the pages together (do this before cutting anything out), you’ll need to match up the borders and diamonds on each page, putting them in numerical order. You can cut around each page border to make it easy or if your paper is see-through enough, just match them up as is, which is what I usually like to do. Does that help?